Pontos Requerido: 5900 Os jogos não são compatíveis com dispositivos móveis e tablets. Por favor adicione este título à sua Lista de Desejos e inicie a sessão na sua conta the first club desde um computador para concluir o processo de solicitação. NOTICE: Activation key must be used on a valid Steam account. Requires an internet connection. About the game Northern Canada, 1970. A strange blizzard ravages Atamipek Lake. Step into the shoes of a detective to explore the eerie village, investigate surreal events, and battle the elements to survive. The first installment in a series of four games, Kona is a ch… illy interactive tale you won't soon forget. October 1970. W. Hamilton, a rich industrialist who owns a hunting manor in Northern Canada, reports several cases of vandalism perpetrated against his property. Unable to find out who dared to commit these acts, Hamilton calls Carl Faubert, a renowned private detective to handle the affair. 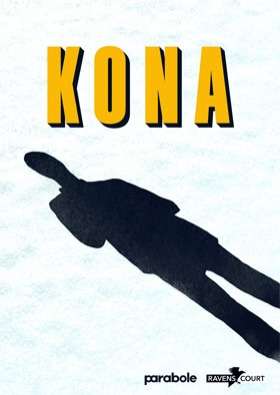 In Kona, Carl becomes trapped up in the deep north, engulfed in an unexpected snowstorm. The player incarnates detective Faubert, who must shed light on the mysterious events befalling the area. System Requirements Windows - Minimum OS : Windows 7 and up Processor : i5 2.0 ghz+ Memory : 4 GB RAM Hard Drive : 5 GB available space Graphics : GeForce GTX 460 / ATI Radeon 6850 / Intel HD 5000+ DirectX : Version 11 Windows - Recommended OS : Windows 7 and up Processor : i5 2.5 ghz+ Memory : 6 GB RAM Hard Drive : 5 GB available space Graphics : GeForce GTX 660 / ATI Radeon 7850 DirectX : Version 11 Mac - Minimum OS : Mac OS 10.8+ Processor : i5 2.0 ghz+ (2013 and newer) Memory : 5 GB RAM Hard Drive : 5 GB available space Graphics : Intel HD 5000+ with at least 1.5 GRAM Additional notes : We officially support 2013 Macbook Pro, iMac and Mac Pro and newer models Mac - Recommended OS : Mac OS 10.8+ Processor : i5 2.5 ghz+ (2014 and newer) Memory : 6 GB RAM Hard Drive : 5 GB available space Graphics : NVIDIA or ATI dedicated card Additional notes : We recommend playing on 2014 Macbook Pro, iMac and Mac Pro and newer models Linux - Minimum OS : Ubuntu 12.04+ 64-bit, SteamOS+ Processor : i5 2.0 ghz+ Graphics : GeForce GTX 460 / ATI Radeon 6850 / Intel HD 5000+ Additional notes : Other Linux distro should work but haven't been tested Linux - Recommended OS : Ubuntu 12.04+ 64-bit, SteamOS+ Processor : i5 2.5 ghz+ Graphics : GeForce GTX 660 / ATI Radeon 7850 Additional notes : Other Linux distro should work but haven't been tested © Published by Koch Media GmbH, Austria. Ravenscourt is a division of Koch Media GmbH. Ravenscourt and its respective logos are trademarks of Koch Media GmbH. © 2016 and developed by Studio Parabole Inc. Kona is a trademark of Studio Parabole Inc. All other trademarks, logos and copyrights are property of their respective owners. All rights reserved.